Mr. Gnome. The Heart of a Dark Star. This album is a year old, and so has already been reviewed in numerous places, including Consequence of Sound, Cleveland Scene, and even NPR. It made the Rolling Stone College Album charts, CMJ charts, and probably several others. They are now officially cool. 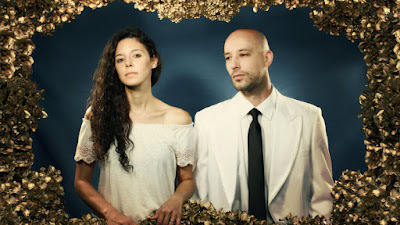 The duo have a biography in AllMusic (surely a sign of having made the big time), where they’re described as alternative rock, indie rock, art rock, and sadcore. I’m not sure what these categories mean anymore, but I would describe their music as simultaneously hard and delicate, noisy and lovely, ever-shifting and hypnotic. We reviewed the excellent Madness in Miniature back in 2012, and so forgive me as I try to come up with new and clever things to say about this latest offering. The band is consistent in both sound and presentation. Madness in Miniature was similar in some respects, but it seems that their musicality is a bit more sophisticated, as is their studio work. Layering is an important quality to their work, with multi-tracking of the vocals a major feature of their work. That is not to say that the music is less present, because it’s upfront in many tracks, and often the swell of guitars overwhelms everything else. They seem to like to alternate longer and shorter tracks, with a couple clocking at 4-5 minutes and others a minute or less. Combined with their tendency to shift rhythms and moods within songs, it’s difficult to tell without watching the time (I’m using a laptop) or reading the lyrics where we are. I like this. 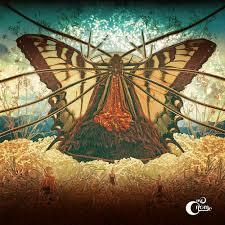 It makes for a coherent listening experience despite its pastiche approach that often disorients. I hear a stylistic differences as well, particularly in the way they are now incorporating more elements of folk and gospel into the psychedelic swirl. The last track, “The Sea,” is reminiscent of gospel music, and “Odyssey” takes a folky start before the electric guitars come in and add considerable fuel, ending up in a strange mix that suggests the Pogues on acid. “Rise & Shine” has a similar feel. “Follow” is one of my favorite tracks, with the layered vocals giving the song a 60s feel, combined with the anthemic qualities of arena rock, without being retro in the slightest. I also enjoy how it blends right into the next track, “No Place like Home,” as if it were a coda to the first song. This happens elsewhere, also to good effect. But I’m at the end of the album. Let’s go back to the first track, “Melted Rainbow,” as it sets the tone. Echoing the lyrics, I can’t explain why this song reminds me of early Moody Blues, but there it is. Perhaps it’s the combination of spacey atmospherics and gently layered harmonies. Others will hear other things, and I betray my age and musical references. “Mustangs” has more of a dance feel to it, but specifically 80s dance music. “Star Stealers” is harder rocking, with an almost punk/metal quality to it, although the psychedelic elements are never far away and take over in the bridge (if we can identify it as that). Flamenco sounds build into a curious hard rock piece in “Storm,” which then fades to almost white noise. “Light” is the longest track, and one of the slowest tunes, with interweaving vocals and a drifting, hypnotic atmosphere. I found this a rich and rewarding album, complex and gorgeous, one best listened to in its entirety, which I believe is what Mr. Gnome had in mind. A concept album in the 2010s? Unbelievable. They are currently touring the Midwest and West, but will be back in town for a concert at the Beachland Ballroom on December 19th. I can’t wait to hear how they do all this live. Personnel: Nicole Barille (vocals, guitar, piano), Sam Meister (drums, piano, vocals), Jonah Meister (guitar on “Star Stealers”). Somebody does a lot of handclapping. Tracks: Melted Rainbow, Dark Star, Rise & Shine, Mustangs, Folk Lonely, Star Stealers, Storm, Light, Hangunder, Odyssey, Follow, No Place like Home, The Sea. Quite some time back, Neil Young suggested that “It’s better to burn out than to fade away.” I guess that could be good advice for some, but it seems that there are alternatives. 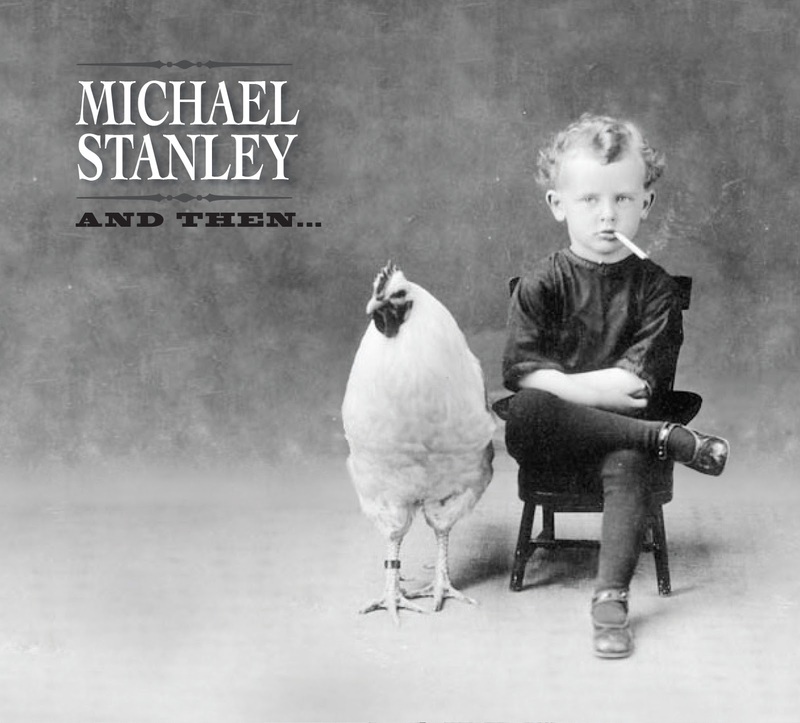 Michael Stanley has found a third way, one that was followed by luminaries such as Benjamin Franklin. In his later years, Franklin was Ambassador to France, participated in the Constitutional Convention, and wrote abolitionist works. Continue what you do, and if it’s good and honest work it will be rewarded and remembered. In recent years, despite more than 40 years in the music business, the Cleveland heartland rocker has produced such a consistently fine material that it reminded me of old Ben. One album after another, from The Hang, to The Ride, to The Job, he’s turned to an autumnal renaissance of excellent music. And Then… continues the annual feast. The new album is in some sense typical for Stanley, but unusual in the world of popular music of the moment, in not having been written by a stable of Swedish songwriters. No cheap pop here. Stanley wrote most of the songs, with credits for one shared with Marc Lee Shannon and one other borrowed from David Grissom. There’s a lot of variety--anthemic rockers, power ballads, softer ballads, a bit of Americana--but it all fits nicely within his aesthetic and musical sense of the world. Lyrics speak to separation and loneliness, love and loss, hope, and more than one political comment. It feels a bit more uptempo than The Job, but less so than The Ride. Most of the rockers are in the first half of the album, with the more pensive material towards the back, but it’s a good mix. I’m a fan of uptempo songs so I tend to concentrate on those, but I have to mention “Long Ohio Winter,” a beautiful ballad on a subject many of us relate to, which of course he uses as a metaphor for missing someone he loves. Bob Pelander does some gorgeous piano work here. A couple of the other ballads are heartbreakers too, especially “In Your Kiss,” with Ed Caner on viola in the background. Of the rockers, I particularly enjoyed “Snakes,” and “Don’t Say Nothing,” both of which I interpret as social commentary (although I’ve been know to be wrong). Both have a hard edge that shows off the power of the band. He throws some R&B flavor into the mid-tempo songs where the whole band shines. “All Together Now” is anthemic, with a singalong part that will be a big hit in concert. “Shifting Gears” is one of my favorites, partly because of the vocals (nice trick with the background vocalists finishing the verses), and the prominence of Pelander’s organ work. The odd song out, but not in a bad way, is “Sweet Spot,” which has a country flavor courtesy of Ed Caner’s violin. The ensemble is strong, nearly a big band except for horns, and the guitar work is great throughout. There are no weak tracks. The only weird thing is the cover, which as you can see is a bit creepy. It was not photoshopped, which is even more creepy, but appropriate for the Halloween season. 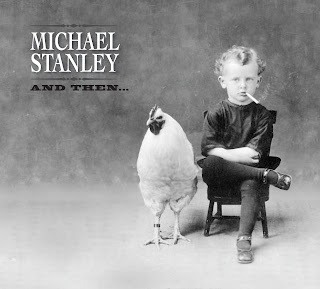 Fans of Stanley need not be convinced, but if you like solid rock & roll, give this music a try. As for concerts, he’ll be playing Hard Rock Live at Northfield later in December. Get your tickets now, because he always sells out. 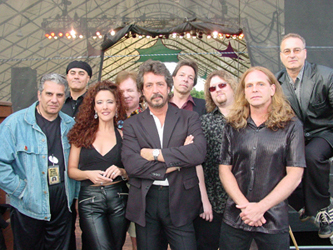 Personnel: Michael Stanley (vocals, guitar, bass), Tommy Dobeck (drums), Bob Pelander (piano, organ), Danny Powers (guitar), Jennifer Lee (vocals), Marc Lee Shannon (guitar, mandolin, vocals), Rodney Psyka (percussion), Ed Caner (violin, viola), Don Dixon (vocals). Tracks: All Together Now, Radio Waves, Sound of a Train, Shifting Gears, And Then, Snakes, Sweet Spot, Long Ohio Winter, Hang on to this Heart, Don’t Say Nothing, Good Day for the Blues, In Your Kiss, Circadian Rhythm.